The National Park Service has figured out that there isn’t any need to actually acquire land through outright purchase any longer. All they have to do to bring us under Agenda 21 Sustainable Development which they are sworn to promote, is offer a bit more of your great grandchildren’s money to people who will line up at the government trough to “tell your stories”. Then the story tellers set you under an unelected, unaccountable “management entity” who will, through your local officials, let you know what you may and may not do with your property and how much it might cost you to figure out if you can get permission to do what you would like to do. There are a few tools they use to accomplish this, with the dominant one being the establishment of your area as a “National Heritage Area”, or a “Scenic By Way” or a “Preserve America” designation. This article is going to focus on “Heritage Areas”. As near as I can tell, there are thirty-seven of them in progress across the country and most people are unaware of them and the dangers they pose to private property use and ownership. My hope is to show you how these things are established and also how to, hopefully, effectively fight them. I live in a blessed area of the country. 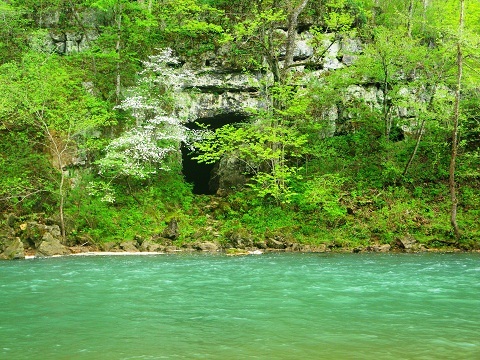 The Missouri Ozarks. Not to denigrate other areas, but this area is special for many reasons. One of the reasons it is so special, is that many people before me did an awful lot of work to expose the globalist agenda, particularly regarding the usurpation of private property and the Master Plan of Agenda 21 Sustainable Development. We are so special here that there have actually been references made to us in congressional testimony as the “black helicopter folks in Missouri.” Usually our “black helicopters” are agency documents, but they do indeed still think we are “special”. The definition of a “Heritage Area” from their documents received by FOIA is, and I quote: “National Heritage Areas are places where natural, cultural, historic and scenic resources combine to form a cohesive, nationally important landscape arising from patterns of human activity shaped by geography.” That is literally everywhere. They think YOU are special too, so look out. The Missouri Ozarks—Where the NPS Would Like A Nat’l Heritage Area–But Where the Citizens Like Their Heritage of Freedom More. What the proponents of Heritage Areas want to do is to “tell your stories” and “interpret” them for the “tourists” that they are sure will show up once you have the Act of Congress in place that recognizes that your area is “special”. They spend a lot of time telling you what Heritage Areas are NOT, and fail to tell you what their own documents say Heritage Areas really are. They tell you that Heritage Areas are not controlled by the National Park Service. They won’t infringe in any way on property rights. They will not increase taxes, or use public funds, and that all participation is voluntary and you can “opt-out”. I’ll show these for the stories they really are throughout this article. How about a nice little grant to get you going? To start with, the way the ne’er-do-well-do-gooders begin the process of establishing a Heritage Area is to form a “board” of specialists that are gifted in the areas of “facilitation”. They then apply for a government grant, from the National Park Service to cover their expenses, and pay their wages, in taking away your property rights. The Ozark Highlands National Heritage Area group took $185,000 as part of an ARRA (American Recovery and Re-Investment Act) grant. Now, remember they said that this wouldn’t increase taxes. How does the Federal government giving out grant money and then funding up to 1 million dollars per year -as spelled out in every law establishing a Heritage Area- not increase taxes, or use public funds? The Federal government doesn’t HAVE any money of its own. Every dollar they spend is taken from YOU. Someone always has to pay for or produce the “free lunch”. The NPS has to approve the Feasibility Study, which it has contracted with the future “management entity” to complete. There are ten criteria that must be met to do a valid Feasibility Study, most of them involve developing consensus through facilitated meetings that are not overtly about the Heritage Area. The people drawing salary for plotting to remove your property rights will go to local officials and tell them their story about how economically beneficial and lovely this will be and request a letter from the officials saying, “We like it!” based on incomplete information. The NPS, or the group that took the money to do the legwork on the Heritage Area, then asks any legislator to sponsor this special designation and it quickly becomes a literal federal law establishing an area as a “Heritage Area”. Sometimes, as with the Northern Plains Heritage Area, it even happens after the NPS has declined the Feasibility Study as being insufficient! Three years ago, a few folks from West Plains, the epicenter of the proposed Heritage Area, called up Russell Wood, President of the Ozarks Property Rights Congress to ask what he thought about at their idea of establishing a Heritage Area here. In short, he told them “It’s a bad idea”, and the meeting ended with promises of keeping him informed about whether or not they would proceed with the idea. In November of 2010, they again called Mr. Wood and invited him to a meeting to discuss where they were in the process of establishing this Heritage Area. Eight of us, the Property Rights advocates, and about 10 or 11 of them, the Heritage proponents, attended this meeting on November 22nd, 2010. Ray Cunio, President of Citizens for Private Property gave them a primer in Agenda 21 Sustainable Development, and had all the books and resources to back it up. When Bob Parker asked them for their documents, they proudly handed each of us four sheets of promo material explaining that they had taken your money to conduct a feasibility study to establish this Heritage Area, and that it was going to be great for everyone. When this bit of fluff ruffled Mr. Parker’s feathers and he expressed his indignation at their lack of documents for our review, they assured us that they would get us the pertinent documents ASAP. When we wrapped up the meeting, I told them they had gone as far as they could go without causing us to go to “war” with them, and that while we didn’t want to do that, we certainly were capable, and not afraid to bring this into the court of public opinion if they didn’t stop. A few email exchanges and 5 weeks went by and then they ever so apologetically sent us the “documents”. Lo and behold, the “documents” were the same four pieces of paper they’d handed to us at the meeting in November. Mr. Wood then filed a Freedom of Information request and had to pay almost $120 to get what turned out to be most of the documents. Those four pieces of paper that they tried to pass off as their “documents” became 816 pages, almost all double sided and containing not one, but two drafts for a feasibility study. Another 100 plus pages were obtained in a second FOIA request. And then they finished their “final draft” for the Feasibility Study, adding another 100 pages to the pile. This is typical of the transparency and openness of these non-governmental organizations acting on behalf of the federal and state agencies to take away your rights. They like to work in the dark and control you by consensus of specially selected disinformation specialists. What the Devil’s in the Details? To get back to the four points bulleted at the beginning of this article, in a nutshell, every one of those points is a lie. If not outright, it is certainly intentionally misleading and without the slightest hat tip to integrity. At the public meeting we ended up having, we got the facts about the Heritage Area and it’s dangers to the public at large, the proponents passed out yet another couple of sheets to the audience. They were a bit surprised that there were between three and four hundred people at the meeting, and they only had 150 flyers to tell their side of their story. Kind of appropriate, as they are used to telling half the story. The fact is, that as substantiated by their own documents, the establishment and possibly even nomination of your area as a National Heritage Areas puts you in the position of being considered as a “World Heritage Site” by the UN. Cheryl K. Chumley did an excellent and short article on this, and you can check that out for the pertinent information here. There is also a transcript of Congressional Testimony stating unequivocally that you can NOT opt out of a geographic area. You can’t opt out of the county in which you live. The Heritage Areas are almost all run along county lines. in the CEMAT European Rural Heritage Observation Guide, can meet broad-based goals of partners throughout Ozarks Highlands region for preservation, conservation, education, economic development, financial sustainability, and interpretation. When you read the Second Century Commission Report linked above, you find that they say on page 1 of the print out version that we have 59 states… Kinda scary, isn’t it? • Incorporate into the draft approaches employed by European nations for preserving parks and other special places…. • Engage the National Park Service institutional culture in support of all such designated areas. •Parts of the institutional culture that focus on large traditional parks may view National Heritage Areas and other special designations as departures from the norm. It is important to establish that they are not. •Government action to purchase large tracts of land and even private philanthropic purchase, often meets powerful resistance from individual owners and property rights organizations. So if they can acquire the management control of the land without actually having to buy it, they think it’s a real good deal. And it is…for them. And another Raw Deal for you. Basically, if you want to live under European Spatial and Regional Planning, and be made merchandise of by people who take your money to sell your culture for their benefit while you seek to replace a shingle with a team of bureaucrats waiting in line for you to fill out more forms and receive more permission slips, then you should be for National Heritage Areas. However, if you are like most of us here in the Ozarks, and aware that there are only two kinds of people….”Those who want to be left alone and those who won’t leave ‘em alone”, then you will be against this management from on high brought to you by people with titles such as “Landscape Historian”, “Folklorist”, and “Interpretive Specialist”. If you are facing a Heritage Area designation in your area, drag the ones pushing for it kicking and screaming into the full view of the public. Make them talk about the money. They took YOUR money, so they are open to FOIA. Don’t expect them to be co-operative. They only cooperrate with others who think you are for sale. Let them know that you love your heritage, you will protect that heritage, and you don’t need them to tell stories for you in any way, shape, or form. They say they have backed off here, and finally realized that because of our custom and culture that a “federal NPS designation” is not feasible here. But we will keep watching them. They are like all bureaucrats. They want to “preserve” your heritage as something quaint and nostalgic. Tell them you want to preserve your freedom; that Freedom is your heritage, and you will NOT accept any substitute.